With your paintwork corrected, it can now be protected to preserve your finish and seal in the good work with a protective wax or liquid sealant. A good paste wax can retail from as little as £20 a tub, up to £7,000. Liquid waxes like Scholl Concepts W6+, which contains a combination of natural Carnauba Wax, synthetic waxes and highly cross-linked polymers, also perform well and give a durable deep gloss and equally long lasting protection. Follow application instructions, but normally two thin layers of wax are preferable. 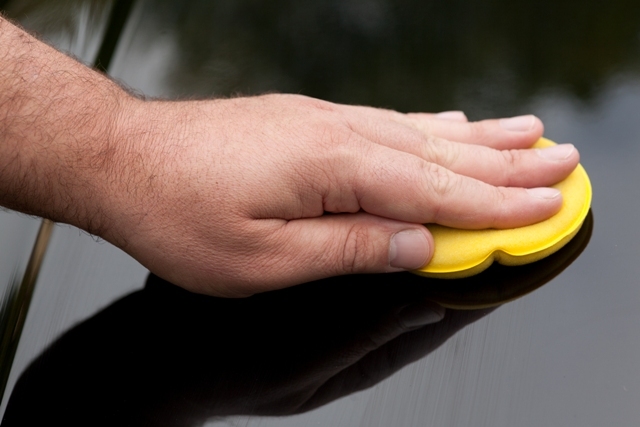 Apply with a foam applicator and buff off with a nice soft microfibre polishing cloth. If you haven't got much time, or to top up long-lasting wax protection, use a speed wax or finishing spray like SW40, SW20 or SW10. New technology liquid sealants are a recent revelation and offer many advantages over traditional protection. Scholl Concepts NEO, for example, won’t leave residue on trims and bumpers like tradition waxes and polishes. In fact it can be used on the entire exterior of the car - even glass. Gloss surfaces will gleam after application. This polymer protection contains no silicones or hydrocarbons and is incredibly quick and easy to use (just spray on, wipe over and buff). The results are instant and impressive.